It is The Eyre Affair by Jasper Fforde. 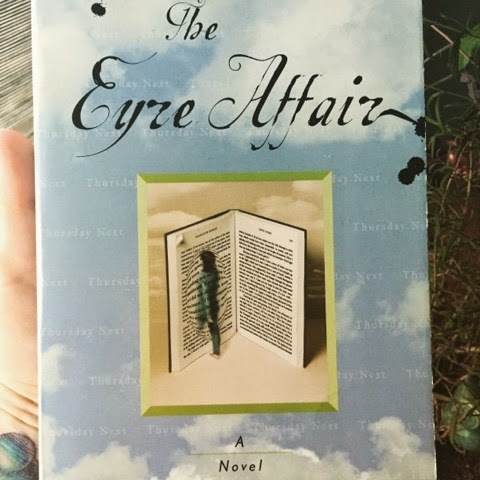 I finally read Jane Eyre so I could catch some of the literary references and then I read The Eyre Affair right away. It was so good! I look forward to reading more in the series.